Simple Kidmin: Who Are Your Heroes? 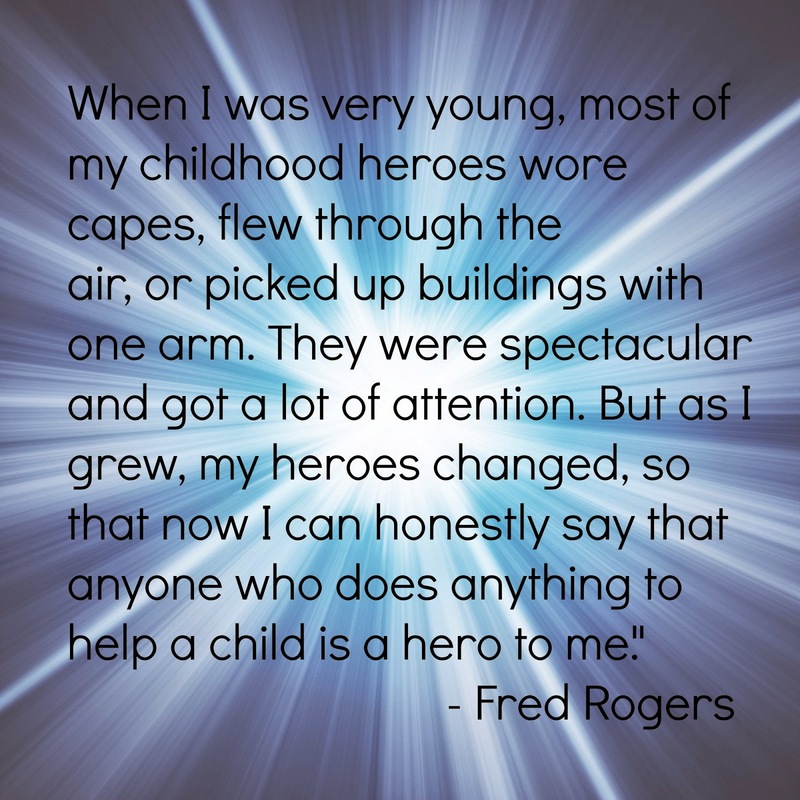 I love this quote by Fred Rogers. It reminds me of how much people sacrifice to love kids in Jesus' name both in weekend Children's Ministry and in everyday life. Usually those who give the most are the ones who get the least credit. They serve behind the scenes, out of the spotlight, all because they love kids and Jesus and will do anything to bring the two together. These are the heroes who deserve an extra measure of thanks today. Who are your kidmin heroes? Who is quietly serving God's kids in your world? What can you do to honor them today?